Happy 30th anniversary, Don Denkinger! I also hope this doesn’t come across as sour grapes, the way Cardinals fans joke about Cubs fans blaming their team’s epic collapse in the 2003 NLCS on Steve Bartman. Perhaps I’m a homer, but game 6 of the 1985 World Series is a wee bit worse because it was an umpire and not a fan of the team getting screwed; because if it occurred in exactly the same fashion today, the game’s outcome would have almost certainly been different. To set the stage: the Cardinals held a 3-2 advantage, despite having only scored 11 runs all series, heading in to game 6 at Royals (now Kauffman) Stadium. One more win would clinch St. Louis’ 10th World Series title and 2nd in four seasons. Danny Cox of the Cardinals and Charlie Liebrandt of the Royals had been dealing all game long. Cox scattered 7 hits and allowed 0 runs in 7 innings; his pinch-hitter, Brian Harper, gave the Cardinals a 1-0 lead with 2 outs in the top of the 8th. 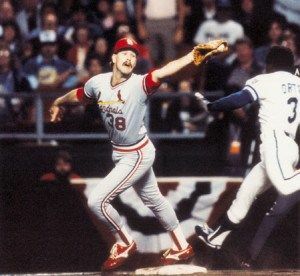 Ozzie Smith subsequently walked to load the bases against KC, who pulled Liebrandt in favor of closer Dan Quisenberry. “Quiz” got Willie McGee to ground out to keep the deficit at 1 run. Ken Dayley, on in relief of Cox, retired the Royals without much ado in the bottom of the 8th. Quisenberry, similarly, allowed one man aboard in the top of the 9th, but the Cardinals failed to widen their lead. Manager Whitey Herzog turned to late-August call-up (and future closer) Todd Worrell over Jeff Lahti, who had pitched 2 innings in a 6-1 loss two nights prior. At the start of the inning, the Cardinals had about an 80% chance to hold the Royals lineup in check and win the game and the championship. The Royals’ first batter, Jorge Orta, hit an 0-2 bouncer to the middle-right side of the infield; Jack Clark fielded the ball and threw to Worrell, who was covering first for Clark. Replays immediately indicated Worrell had beaten Orta by a half-step. None of that mattered, as first-base umpire and crew chief Don Denkinger called the Royal safe and further denied any pleas by the Cardinals to overturn the call, which he believed at the time to be correct. It is likely that the Royals mathematical chances of winning, with 0 runners on base, 1 out, and a 0-1 deficit in the bottom of the 9th, would have sunk from 20% to around 12%. Instead, with 1 on and 0 out, they leaped to 34%–still not great, but remarkably better than had the correct call been made. Unfortunately, there’s no accounting for how the remainder of the inning would have played out had Denkinger not erred. It’s one thing to say that the players may still have gotten the same hits, sacrifices, and outs they did, but there’s no way to know just how the blown call affected the Cardinal rookie. Steve Balboni’s subsequent single put 2 on with 0 out instead of 1 on with 1 out. The Royals actually had a 52% chance of winning the game after this play. Had he singled with 1 out, they would still have likely had less than a 30% chance of winning. With Orta on 2nd and Orix Concepcion running for Balboni at first, catcher Jim Sundberg laid down a bunt, but Orta was thrown out at 3rd. “Big deal,” skeptics say. “That erases the lead runner who benefited from The Call.” The big deal is that I suspect the Royals would have been less likely to bunt with 1 on and 1 out than with 2 on and 0 out. The former scenario would likely put a runner at 2nd with the team a mere out away from World Series ignominy; the latter, had it succeeded, would have put runners at 2nd and 3rd, still with 0 outs. Even with the failed sacrifice attempt, the Royals still had the winning run on base (Sundberg at 1st) with only 1 out, rather than batting with 2 outs. A double-play would still have won the game for the Cardinals at this point, but…. …okay, so Darrell Porter’s passed ball with Hal McRae at the dish wasn’t a great thing. Prior to it, the Redbirds still had a 66% chance of winning; after it, they were more likely to lose (54%) than win. It gifted the Royals the same result had Sundberg’s bunt been successful, albeit with a slightly slower runner (Sundberg) on instead of Orta. With the tying run standing at 3rd base and the winner at 2nd, and only 1 out, it’s only logical for the Cardinals to intentionally walk McRae. The only way he can score is if the Cardinals record an out in front of him, so putting him on base isn’t the end of the world. A ground ball to any base, including home plate, becomes a force out; a game-ending and series-clinching double-play also becomes a possibility once again. Any attempts to predict the outcome of this game are surely absurd. A error on the catcher with McRae hitting would still advance the game-tying run to 3rd, but McRae would be facing a 2-0 count with 2 outs. It’s impossible to think any manager in his right mind would order an intentional walk in that situation. Unfortunately, back in real life, Dane Iorg, whom the Cardinals had sold to the Royals in May 1984, singled to right field, and Concepcion and Sundberg, who narrowly beat the accurate throw from Andy Van Slyke, both scored and the Royals won the game. So what of game 7? After all, it’s not as though the game the previous night had eliminated the Cardinals. They could still have won the ultimate game, albeit on the road. I can recall two examples this millennium where teams that lost disappointing 6th games failed to show any backbone in the 7th. The aforementioned ’03 Cubs seemed to lose any semblance of fight left in them after falling behind for a second time in the final game, in the 5th inning. The ’11 Texas Rangers, after losing a wild game 6 (though not due to the actions of any umpire or fan), got 2 runs on 3 hits and 1 walk in the top of the 1st, then only managed 3 hits for the remainder of the game, en route to a 6-2 series-clinching win for the Cardinals. 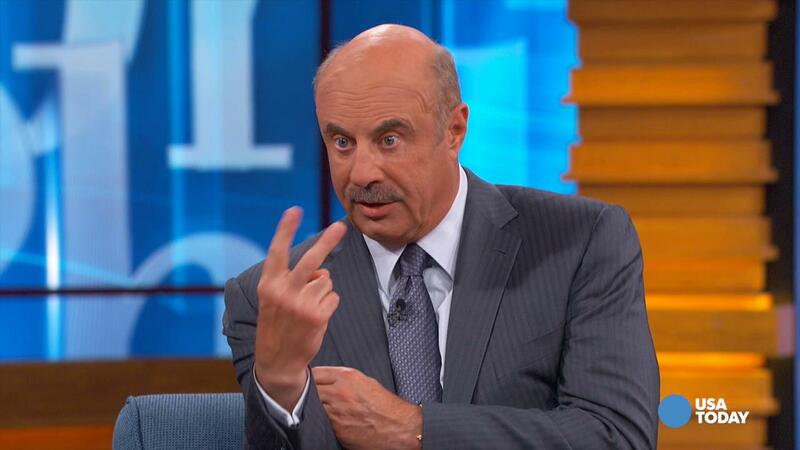 Furthermore, though I’m no Dr. Phil, I suspect that Denkinger’s presence behind the plate for game 7 was more than a little unsettling for Cardinals pitchers. That would be like putting Steve Bartman in center field and expecting Moises Alou to play nice all throughout game 7.